Today will be the last post for a while, as I leave for vacation in just a few hours! I know in previous years I still provided entertainment over the holidays, either with my own posts or generous guest posts. However, this year I'm taking full advantage of my vacation, and plan on doing very little. So I hope you all have a wonderful holiday break and start your New Year off with a bang! 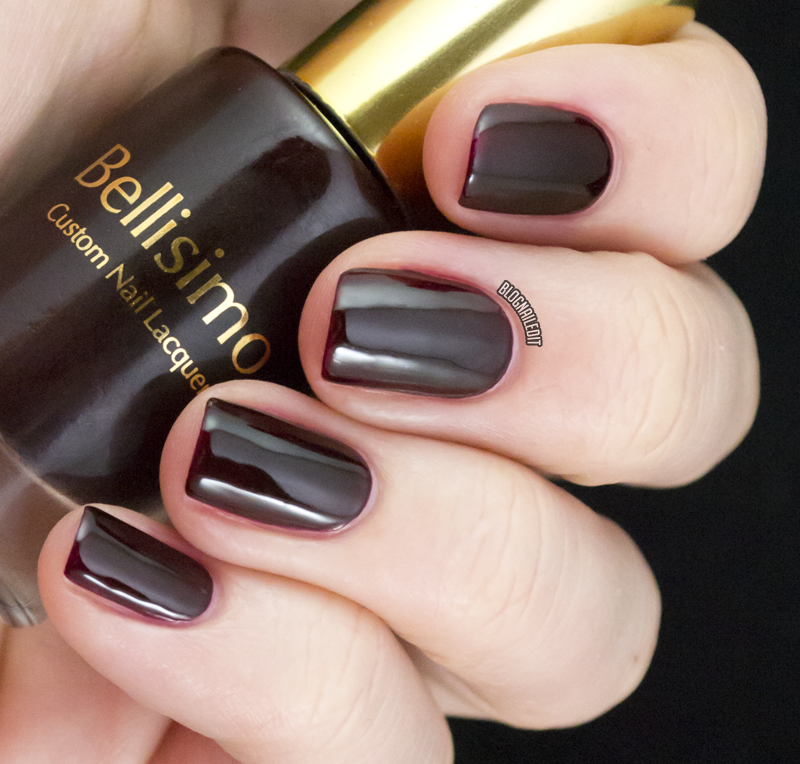 I'm swatching and reviewing a set of polishes from a brand called Bellisimo. This special brand provides a special gift not only to its wearers, but as their story reveals, children and their mothers as well. Here's a look at their Collection Clutch Set. This collection comes in a gorgeous clutch, complete with 6 colors and a base coat and top coat. The colors all seem geared toward older women. This would make a wonderful gift for the single mothers the story is all about! You can see the swatches and design after the jump. 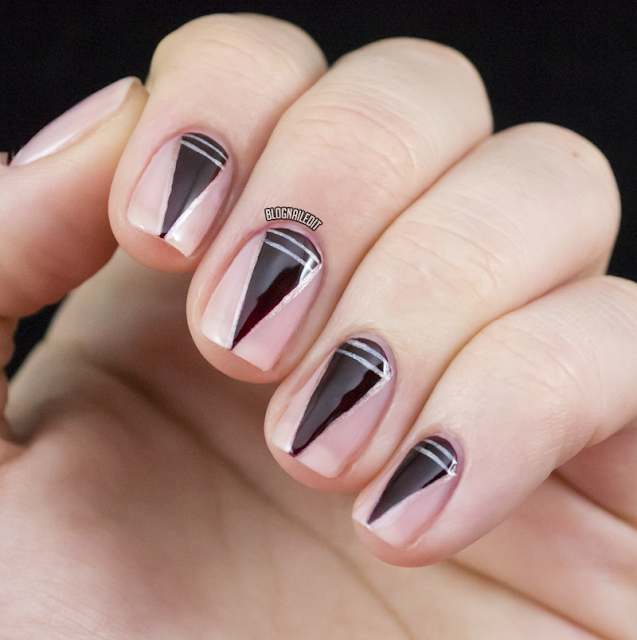 First, here's a look at the nail art I did with three of the colors, Naples Night Out, Parisian Princess, and Brisbane Beaches. Naples Night Out (shown with three coats) is a super dark maroon/brown creme. It's my favorite in the collection. Next is Calgary Flame (shown in two coats). What a perfect cherry red creme! 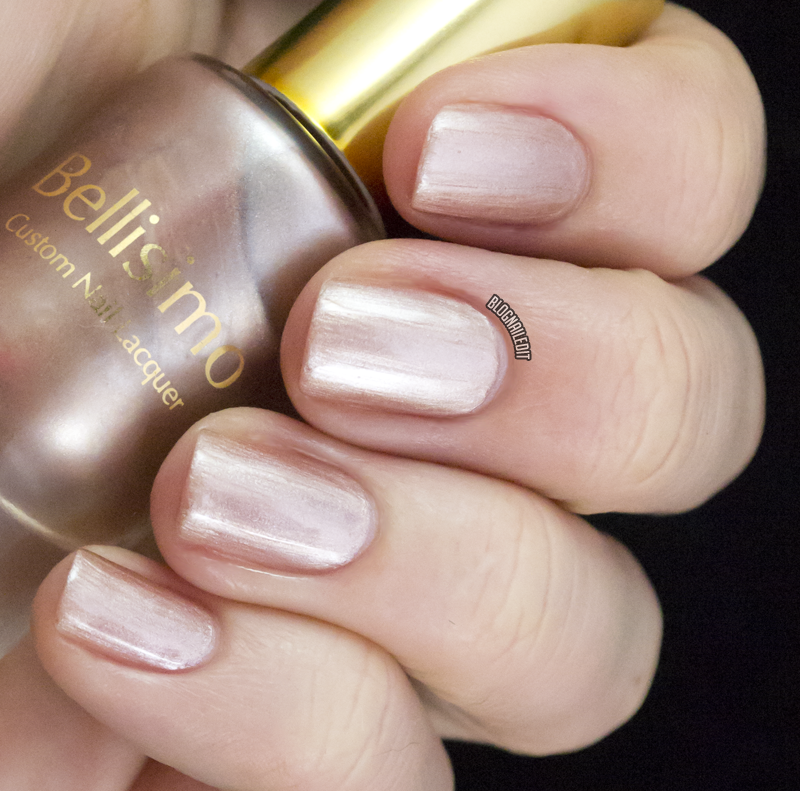 This is Portofino Pink, shown in three coats. This is a warm pink with a very subtle rainbow shimmer. Brisbane Beaches is a two coat, copper/silver metallic. It applied a little patchy, and you can see all the strokes of the brush. Unfortunately, not the best color for my skin tone. 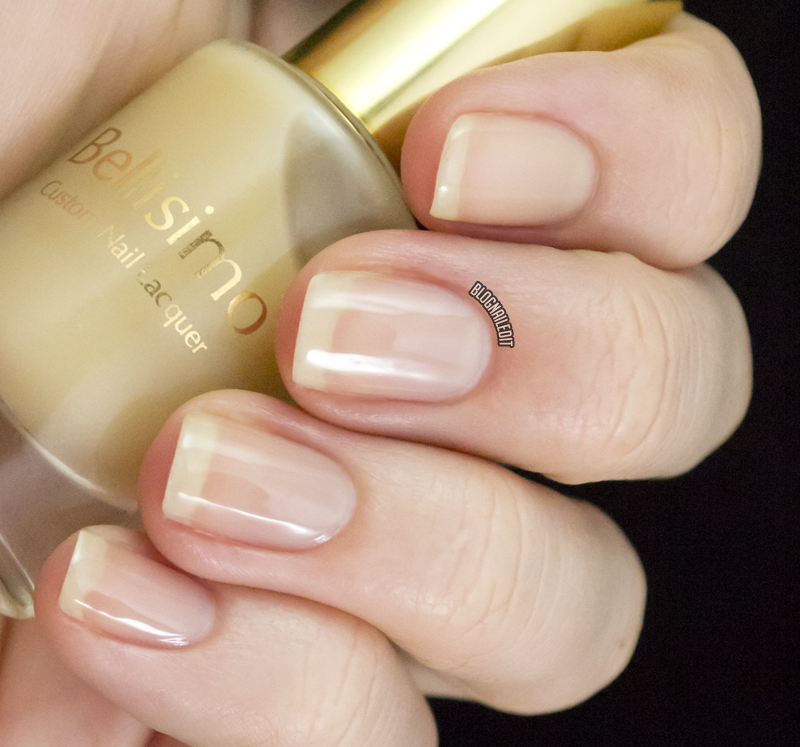 Parisian Princess is a lovely base to a French Manicure. I am showing it here in three coats. It's a soft, milky pale pink jelly, intentionally sheer and great with my skin tone! Lastly, there's Jerusalem Stone, shown in three coats. The is the most unusual and unnecessary polish I own. It's so sheer, and when it does reach any kind of opacity, it's an unfortunate color. It makes my white tips look yellow. I wouldn't recommend it. You can see that these color choices are more mature than many other lines currently available, but the cause and the clutch make it an ideal choice for an older woman interested in nail polish. The Collection Clutch Set from Bellisimo is $150, available on their site. You can also purchase individual bottles for $15 each. These products were sent to me by Bellisimo. The reviews are based entirely on my experience with the products and were in no way influenced by anyone. The first combination is perfect! Naples Night Out and Parisian Princess are gorgeous, both look great on you!